Corporate lending – The business primarily consists of (i) lending to mid-to-large sized corporates in manufacturing, services and infrastructure industries, by way of senior secured debt, structured financing, promoter financing and special situation funding and (ii) lending to real estate developers, mainly for financing project level construction of residential and commercial building projects and take-out of early-stage equity investors. As of December 31, 2017, the Corporate Lending Credit Exposure amounted to INR39,693.97 million. SME lending – Started in 2015, the SME lending business involves extending secured loans for business purposes to small and medium size enterprises. The company currently provides SME lending loans from 10 branches located in Mumbai, Delhi, Chennai, Bengaluru Hyderabad, Jaipur, Surat, Ahmedabad, Pune and Indore. As of December 31, 2017, the SME Lending Credit Exposure amounted to INR11,733.97 million. Vehicle finance – The business primarily involves providing financing for purchases of used or new commercial vehicles, passenger vehicles and two-wheelers. The company commenced vehicle finance business in November 2017. As of December 31, 2017, the Vehicle Finance Credit Exposure amounted to INR143.01 million. Housing finance – The housing finance business comprises two business lines, namely (i) affordable housing finance (ii) retail housing finance. It operates housing finance business through wholly owned subsidiary IndoStar Home Finance Private Limited. The affordable housing finance business line primarily involves loans to the salaried and self-employed customers for housing purposes where the property cost is typically up to INR5.0 million. The retail housing business line primarily extends loans to salaried and self-employed customers for the purchase of residential properties. As of December 31, 2017, the Housing Finance Credit Exposure amounted to INR145.95 million. 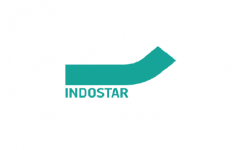 IndoStar Capital Finance IPO allotment status is now available on Link Intime's website. Click on this link to get allotment status. wait for monday, wil see…..
My self applied for 7 times and allotted nil in retail category. When subscribed two times in retail category, how it is possible for nil allotment. Any gambling and mode of allotment may be informed. WAIT FOR GOOD companies trading at better valuations. It is a dark horse. They don’t have retail busness but they have kept price low which is a good thing. Every other company keeps price high no matter what business. Look at icicidirect it has been a disaster. I will apply today. At least the price is reasonable, hopefully Ill not lose money and if the listing is good, that will be great. Wrong info, GMP is 25 in Ahmedabad. Just wait and watch it will another Mishra Dhatu. Good first day subscription> QIB’s will buy on the last day, it will be a hit. EPS growth in the last two years has been at 3%. Very low, given an annualized 30% EPS growth in the two years prior to that. with limited EPS growth, price is at a huge risk of PE contraction. Avoiid. Wait and watch to buy in the secondary market around 500. I just dont understand why people go for IPO like this when there are so many companies already listed. Just do some research and buy anything. No need to remain at the mercy of allotment and all! 1. Whenever there is an IPO, it gains attention of investors. 2. People tend to forget and track already listed peer companies. 3. There are investors who are inclined to invest only in IPO. Whatever the price band, it is good to see an IPO after a dull month. Indostar has GMP of nearly 50 and all lending businesses are doing good this year so hope to make money in this one. Price band – 570 – 572 . Its good. Nice nbfc. Some listing gain may be possible. Subscribe this ipo. It is a good business but 650 will be too high IMO. It will be a PE ~25 and there are many other companies trading at better valuations.